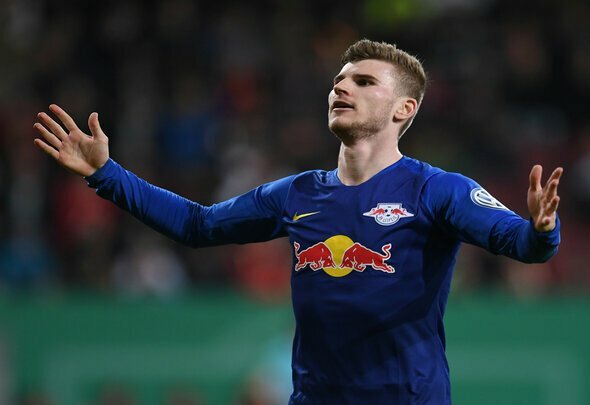 Norwegian pundit Jan Aage Fjortoft has claimed that Liverpool might be among the frontrunners to sign RB Leipzig forward Timo Werner in the summer transfer window. Werner, 23, will enter the final 12 months of his Leipzig contract at the end of the season, and CEO Oliver Mintzlaff has confirmed that it’s unlikely the Germany international will sign a new agreement with them. ViaSport pundit Fjortoft, a former striker for Middlesbrough and Sheffield United, believes that Werner’s pace and goalscoring instinct could make him a target for Liverpool in the summer. Liverpool are more than likely going to be one of many clubs interested in signing Werner in the summer transfer window. RB Leipzig are surely not going to let him run down his contract and leave for free in the summer of 2020, so the Germany club may well cash in on the centre-forward over the coming months. Liverpool have been linked with the pacey striker for quite some time now and they will definitely be in the mix to sign him up in the summer. However Jurgen Klopp may have his eye on strengthening other areas of the squad, mainly because the Reds need an attacking midfielder more than anything else. Liverpool have not replaced the creativity they lost when Philippe Coutinho left Anfield to join Barcelona last year. Depending on how much money they have to spend in the summer, it would be a better idea to plow most financial resources into fixing this one problem area. Signing a new centre-forward should be of lesser priority.